Dala Podge is a decoupage medium that is a multipurpose adhesive and sealant for decoupage, scrapbooking and most craft projects. 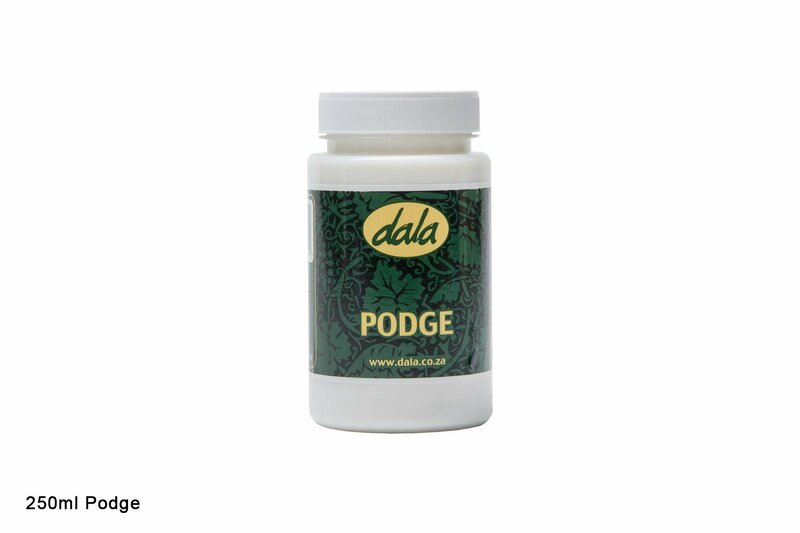 Podge is used as a heavy build up coating for decoupage, scrapbooking and craft projects. Apply multiple layers of Dala 'Podge' with a soft brush, allowing for each coat to dry thoroughly before applying the next. Apply each layer at a right angle to the last. Can be gently sanded using waterproof sand paper. Can be sealed using a Dala Varnish, such as High Gloss or Heat Resistant. This item has 1560 views.